A recent survey by the Union of Concerned Scientists found that most California plug-in vehicle shoppers don’t know about state and federal rebates and tax credits. While ignorance may be bliss in some situations, in this case it is costing those shoppers thousands of dollars per car. Separately, California’s Clean Vehicle Rebate Project says that fully 30 percent of eligible PEV buyers in the state don’t claim the rebates they are due. TheGreenCarGuy explains those financial incentives – both federal tax credits and state rebates and credits – in our Shopping Tips section. The fact that plug-in hybrid (PHEV) and battery-electric vehicle (BEV) shoppers in the state that most aggressively pushes PEV use are unaware of financial help that’s available points to a woeful lack of effort on the past of carmakers and government agencies to inform the public about the incentives. While many do find out about the available rebates and credits when they decide to purchase or lease, the Union of Concerned Scientists’ survey found that price is the top reason people who become interested in PEVs ultimately don’t make a purchase. That’s a pretty good indication that the advertised prices for PEVs keep some people from even looking – even though those prices could be as much as $10,000 lower once those overlooked federal and state incentives are applied. The federal government offers an income tax credit of up to $7,500 for buyers of qualified plug-in electric vehicles. Battery electric vehicles get the top amount and most plug-in hybrids get lower amounts. The credit is based on the size of the vehicle’s battery pack. Rebates and tax credits can help make PEVs more affordable. 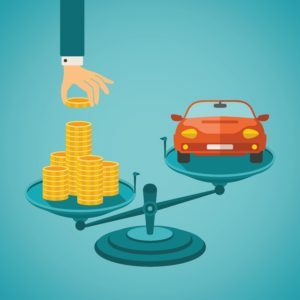 Those who lease don’t get the credit unless the leasing entity that actually owns the PEV decides to use it to offset the cost of the lease – which most do. The federal credit is applied to the buyer’s tax bill at the end of the year in which the vehicle was purchased. And it can only be used to offset taxes owed. There are no refunds or carry-overs if your annual tax bill is less than the credit for which your new PEV qualified. If you buy a BEV that qualifies for the full $7,500 credit and your tax bill that year comes to $9,000, you only owe the feds $1,500. If you’ve prepaid your taxes through withholding or quarterly estimated payments, you’ll get a refund check for the $7,500 credit. But if you only owe $$5,000, you can only zero out your tax bill. The IRS won’t send you a check for the extra $2,500. That’s why it is important to understand when budgeting that the PEV federal tax credit is an “up to” amount, not a fixed number (although most who purchase a new BEV or PHEV have a big enough annual income tax bill for the full credit). State and local incentives vary widely, ranging from things as simple as free parking, sales tax exemptions and reduced electricity rates to cash rebates and tax credits. A particularly valuable incentive in crowded urban areas is solo occupancy access to a state’s car-pool lanes. But not all state with HOV lanes offer this perk. In fact, not all states and cities offer incentives. And those that are out there change often. Colorado recently became the state with the biggest financial incentive for PEV purchasers with a state income tax credit of up to $6,000. Connecticut provides a rebate of up to $3,000 plus a reduced annual registration fee. California is third with a standard PEV rebate of up to $2,500 (can be up to $4,500 for qualified low-income purchasers). Many state that don’t offer vehicle purchase incentives do offer incentives for installing home charging stations. That’s an indirect way of encouraging use of PEVs. One of the best sources for state and local incentives is a listing available on the National Council of State Legislatures’ website. Plug In America’s incentives map also keeps track of state and federal inducements.